Is there some members or potential 350 members interested in organizing to promote the growth of a green electrification for the East Bay? I will stand in front of the trains if you want me to. Tar Sands are a bad idea. We can make sure that the Bay Area is not part of this problem. and ensure that area refineries don't process any materials from tar sands mining operations. Help us convince the cities of Richmond and Martinez to prohibit the dirty, destructive and climate-disruptive tar sands within their city limits. We request that the city councils of Richmond, Hercules, Benicia and Martinez pass city ordinances to prohibit the transport, processing and refining within city limits of any materials obtained or derived from tar sands of any source. We request that all other city councils in the Bay Area pass resolutions in support of these ordinances. 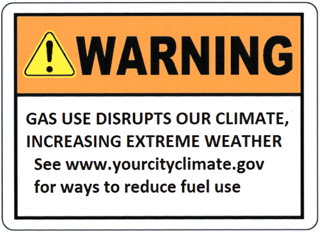 Inform people that our city has a Climate Action Plan to reduce CO2 in general and gasoline use in particular.